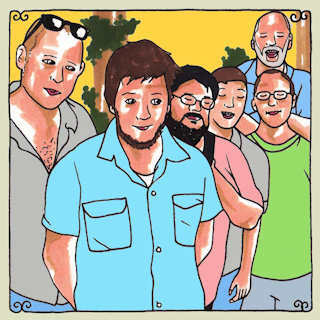 Chris Porterfield and the rest of Field Report headed over to Austin, Texas to record a session with Daytrotter. The recordings, including three previously unheard songs and "Fergus Falls," add to their growing catalog, and inspire listeners to have even more hope for the up-and-coming group. Besides the few tracks that have popped up online, not much has been heard from the band until now. So take this opportunity to get acquainted. Download the free session here! Two Trees - "Your Woods"
Portland Cello Project - "Ninjas In Paris"
Glen Hansard with Bono - "The Auld Triangle"
Pretty Lights - "You Get High"
Brother Ali - "Not A Day Goes By"